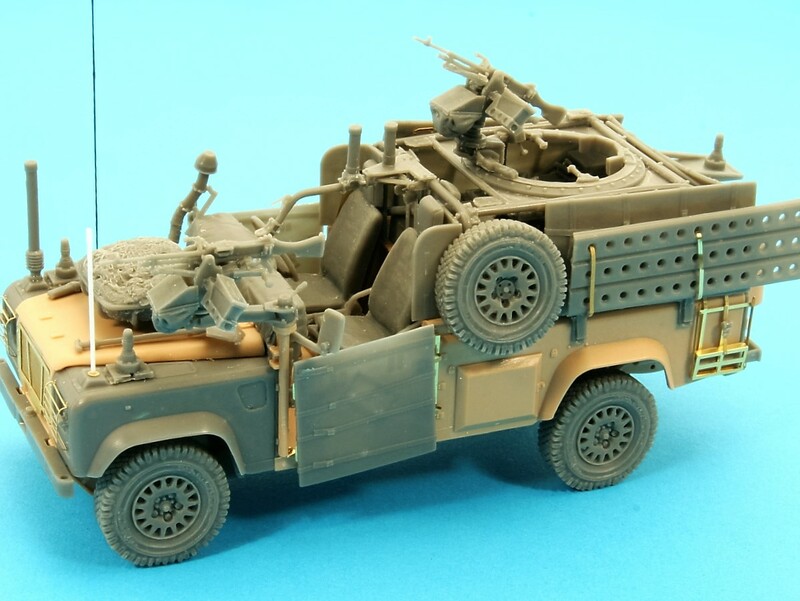 This 1/35th scale resin and etched brass set by Rob Tearle is designed to correct and convert the Hobby Boss Land Rover WMIK kit and transform it into a correct E-WMIK TES(T/H)* Standard from approximately 2007-2010. 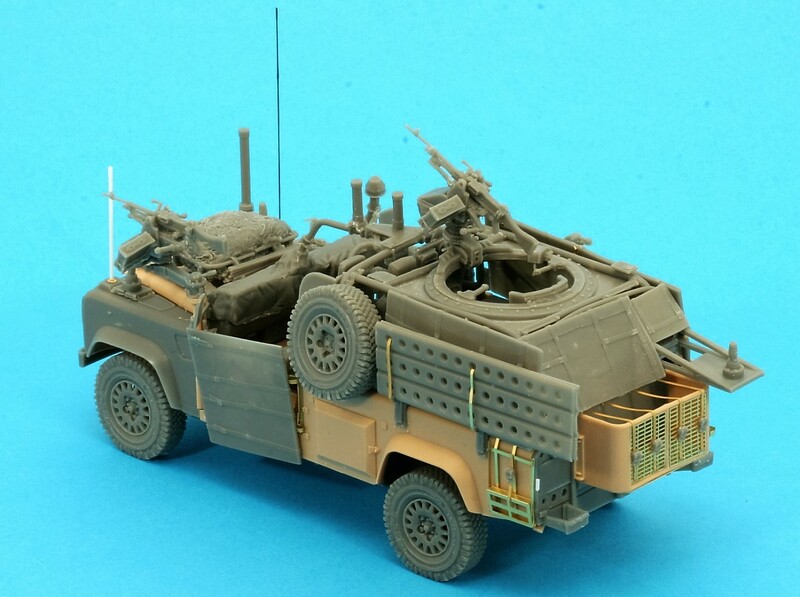 Vehicles of this type and from this era were fitted with MAPIK Armour, ECM Suite and High Level Air Intake. 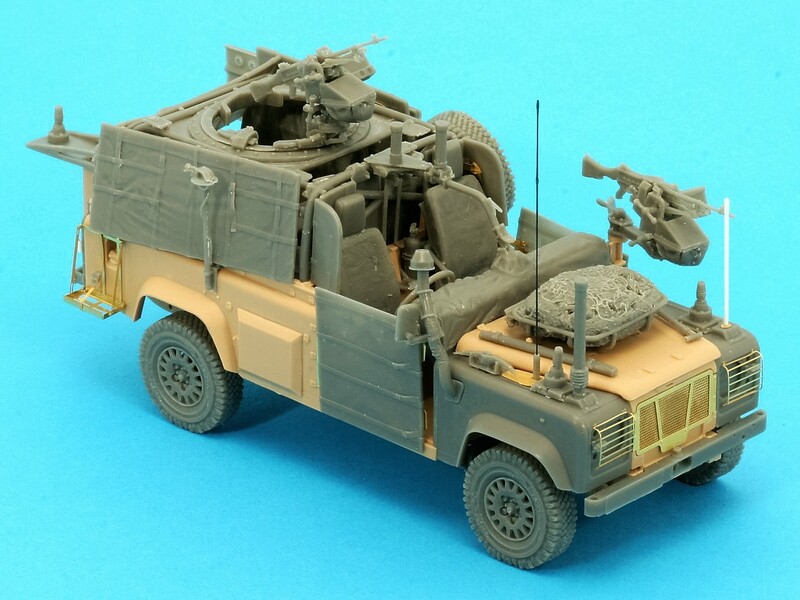 The Enhanced vehicles were fitted with the rear internal firing platform, comprehensive BOWMAN radio suite with extended radio shelf and long pattern belly armour. 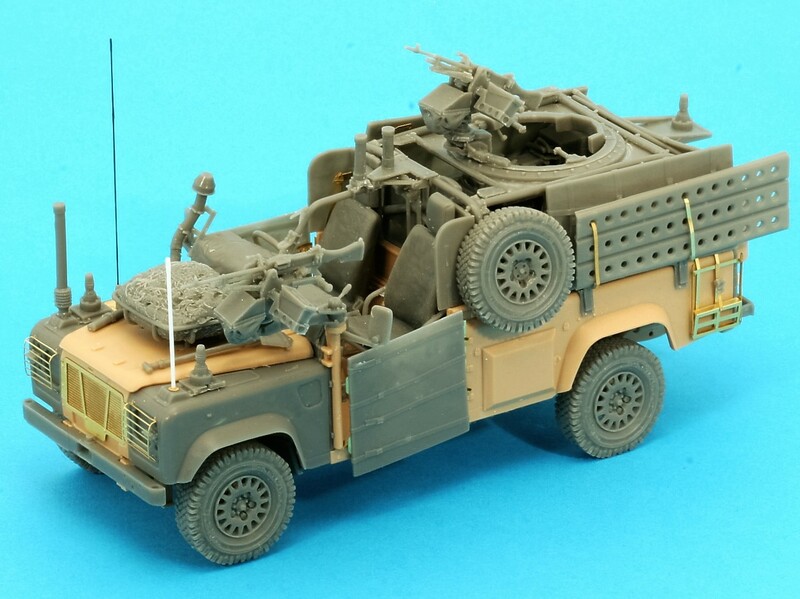 This set also includes corrected roll frame and ring mounting, adjustable height commanders seat, new front wings, sand ladder and super-detailed weapons and mountings, along with many other corrected detail parts. New 15 spoke alloy wheels are included, including a spare wheel. 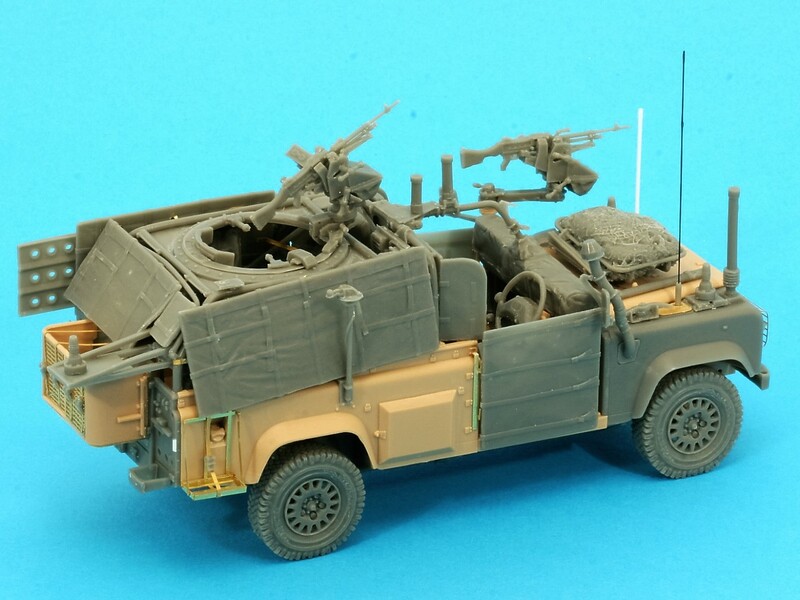 For these vehicles most (but not all) were fitted with 2x gpmg mountings to keep the weight down. *Enhanced Weapons Mounted Installation Kit, Theatre Entry Standard (Op’Telic/Op’Herrick).